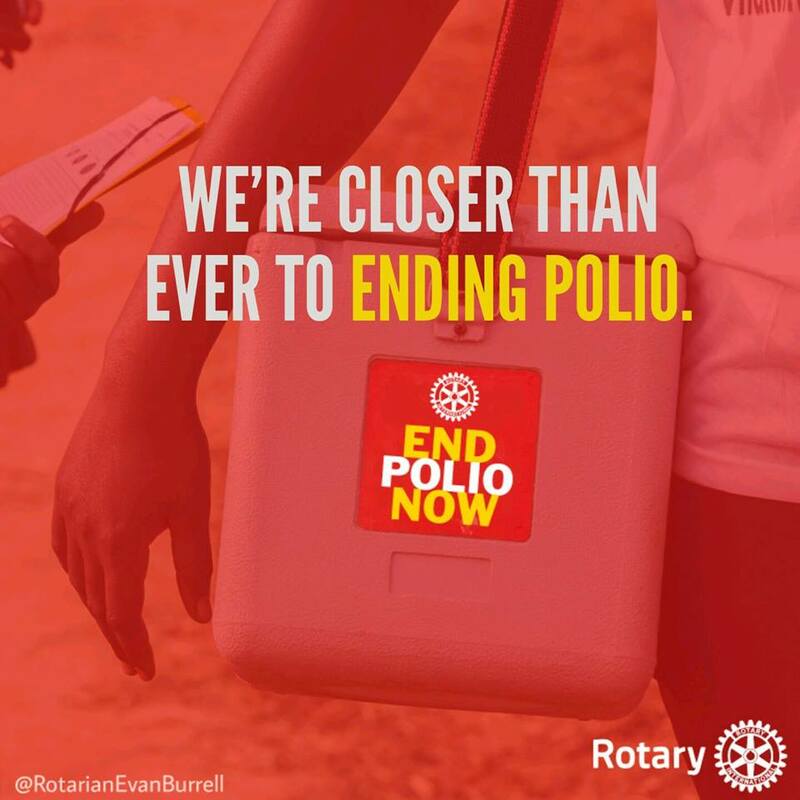 Since 1988, Rotary and its partners in the Global Polio Eradication Initiative have helped reduce the number of polio cases from 350,000 in 1988 to 22 cases in 2017, and they remain committed until the disease is eradicated. The video "World Polio Day" (recommended viewing) is of a 45 minute conference featuring the Bill & Melinda Gates Foundation, Unicef USA and other sponsor organisations. Speakers from around the world give us an insight into how this program has contributed to ridding humanity of this dreadful disease so grab a coffee, make yourself comfortable then spread the word. WE ARE SO CLOSE.